We all get a chocolate craving now and then. It’s natural and easy to fix when you see what’s in our Chocolate Craving Gift Basket. 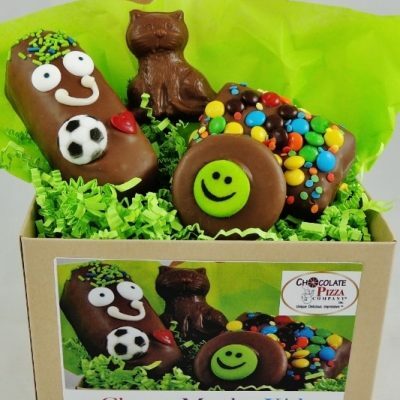 This is a popular choice for anyone who enjoys a grand assortment of our gourmet treats. 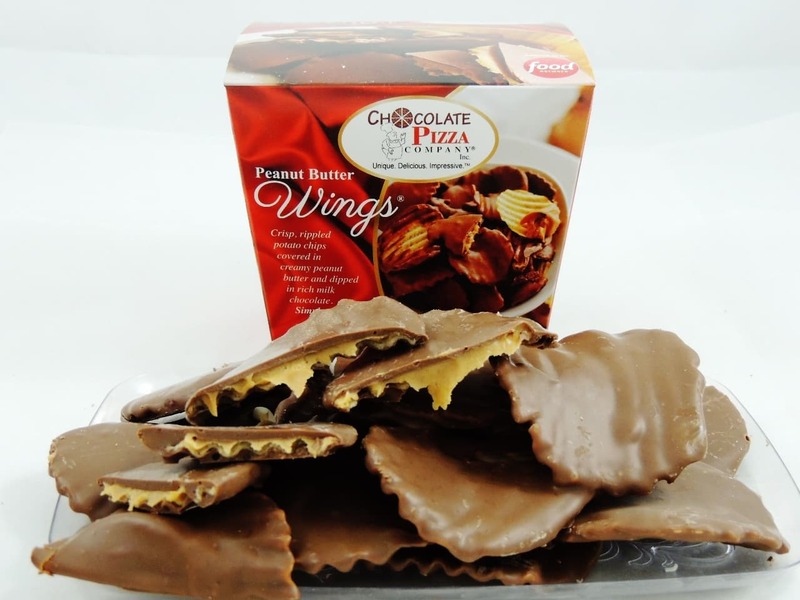 Anchoring this mighty collection of rich milk chocolate favorites is a 16 ounce Chocolate Pizza® with Pecans, Almonds and Walnuts, then we add Peanut Butter Wings® (8 oz), chocolate covered pretzels (6 oz), S’more Treat, Caramel and Nut Drumstick, Peanut Butter Sparkler, chocolate covered puffed rice and marshmallow treat, chocolate covered graham crackers, and 2 chocolate covered sandwich cookie. Over-wrapped with a seasonal bow for a beautiful presentation. Whatever the occasion, this gift basket delivers. A Chocolate Craving Gift Basket is for those who want the melt-in-your-mouth richness of the best milk chocolate. For legions of milk chocolate lovers everywhere, it is reason to smile. If your chocolate craving is focused on sweet, delicious, gourmet milk chocolate, then we have your gift basket. 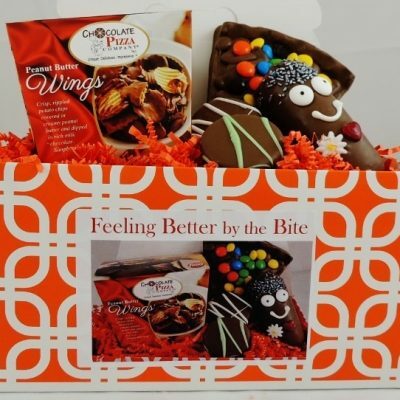 Every treat in the Chocolate Craving Gift Basket is handcrafted with our famous milk chocolate – from the Caramel and Nut Drumstick to the Peanut Butter Wings to a delicious pecan or cashew Cluster made with smooth, chewy caramel. 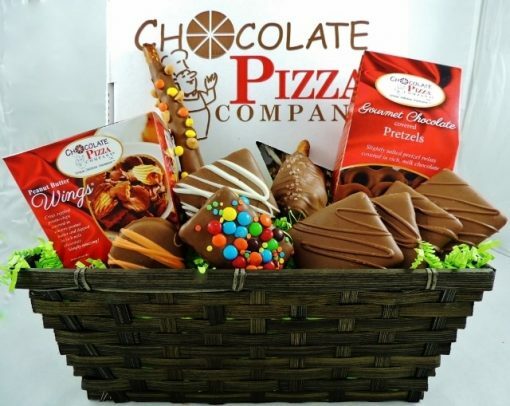 But best of all, this gift basket satisfies even the biggest chocolate craving with a 16 ounce milk Chocolate Pizza with nuts. Beautifully presented with seasonal over-wrap and bow this unique gift basket arrives ready to impress and delight the milk chocolate lover in your life. We offer a wonderful variety of gift basket collections, many selected around a theme, but each one beautifully presented with over-wrap and bow. Gift baskets are a favorite gift-of-choice because they offer such a nice variety that they can be easily shared or enjoyed longer. The presentation immediately says something special has arrived and invites the recipient to discover the chocolate treasures within. 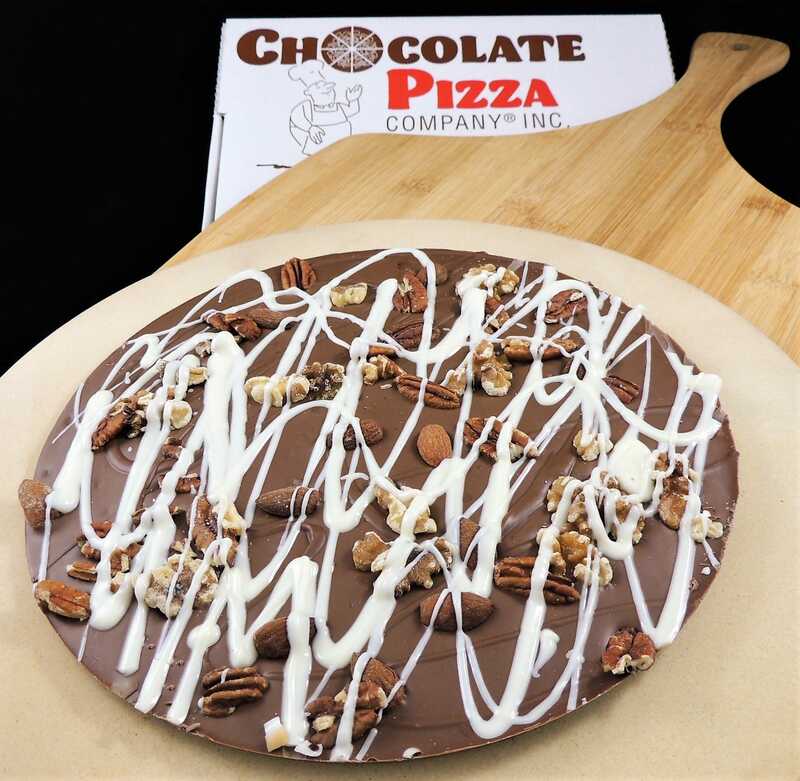 Chocolate Pizza Company handcrafts unique, delicious, and impressive chocolate specialties that make gifts for every occasion. 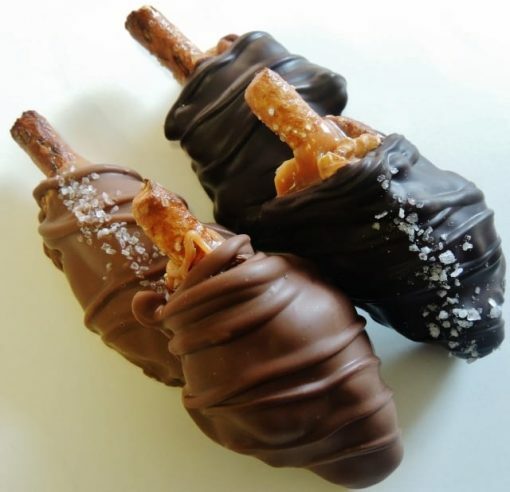 Why choose just one of our insanely delicious chocolate treats when you can enjoy lots of them. 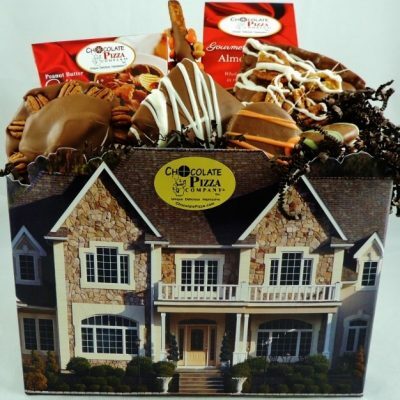 Chocolate Pizza Company is known for creating exceptional gift baskets for business or personal occasions. For a less expensive and fun alternative, choose a handled tote box that still delivers plenty of gourmet chocolate sweets. The easy carry container is cheerful and convenient and adds an element of surprise about the sweets inside. Of course, Chocolate Towers are as impressive as they are generous in content. These soaring stacks of sweets grab attention the moment they arrive and deliver a bounty that is easily shared. Every choice is a great choice when you bring together so many of Chocolate Pizza Company’s best tasting confections. Whatever you choose, you know they’re going to love it!